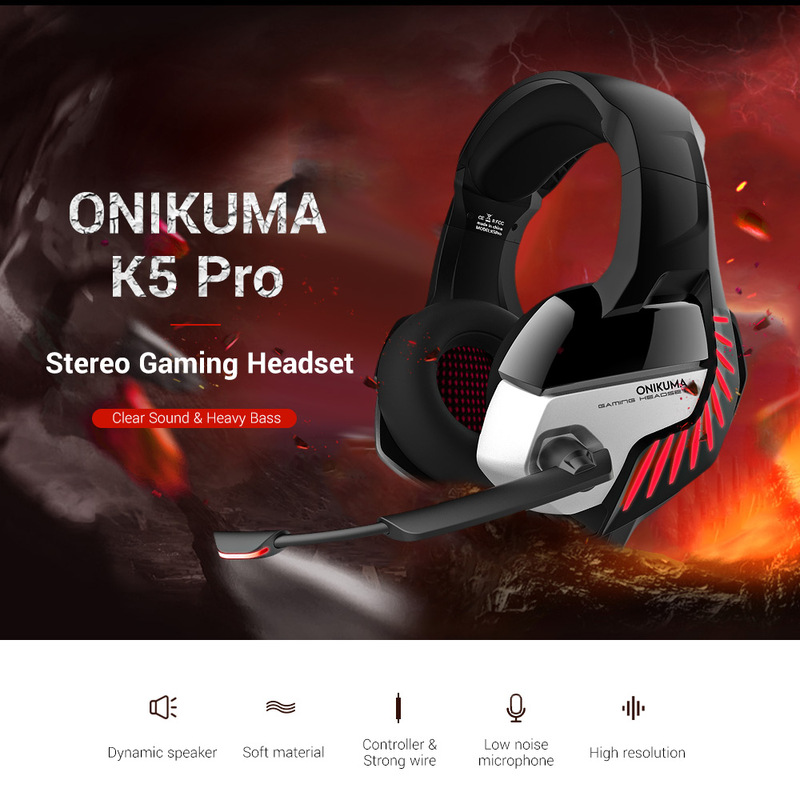 ONIKUMA K5 Pro Stereo Gaming Headset brings you vivid sound field, sound clarity, sound shock feeling, capable of various games. 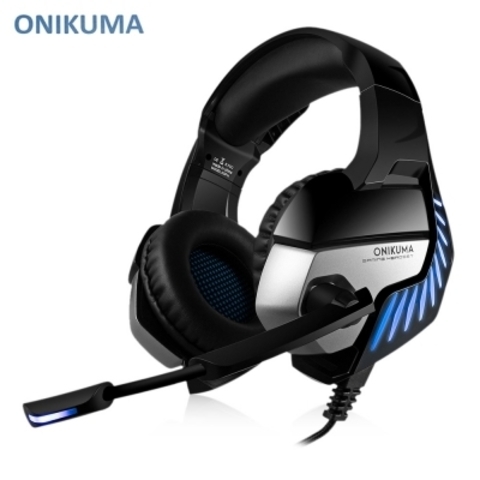 Its super soft over-ear pads are more comfortable for long time wear. 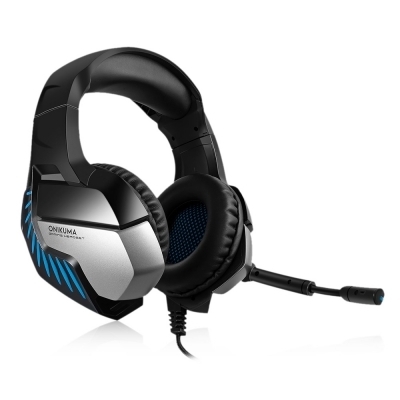 What's more, it is a great headset for the game player! 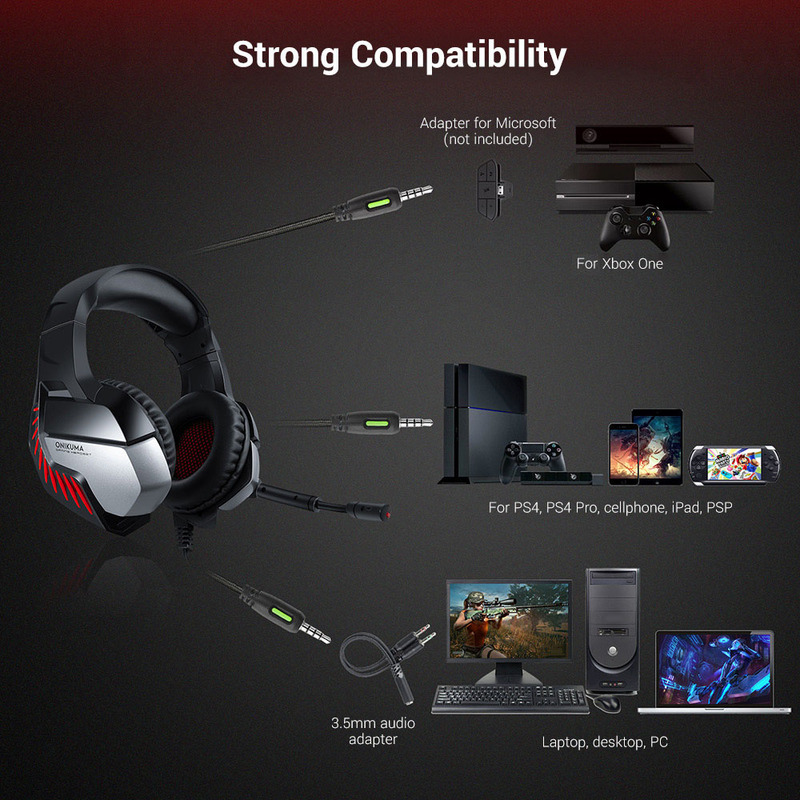 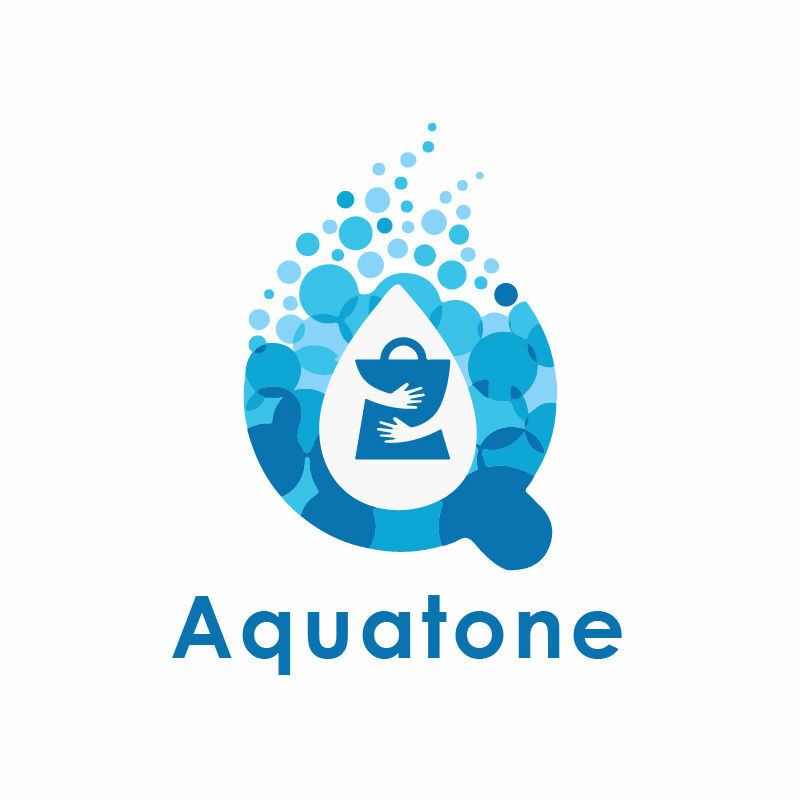 Support for PlayStation 4, Xbox One, PC, Nintendo 3DS, laptop, PSP, tablet, iPad, computer, mobile phone. 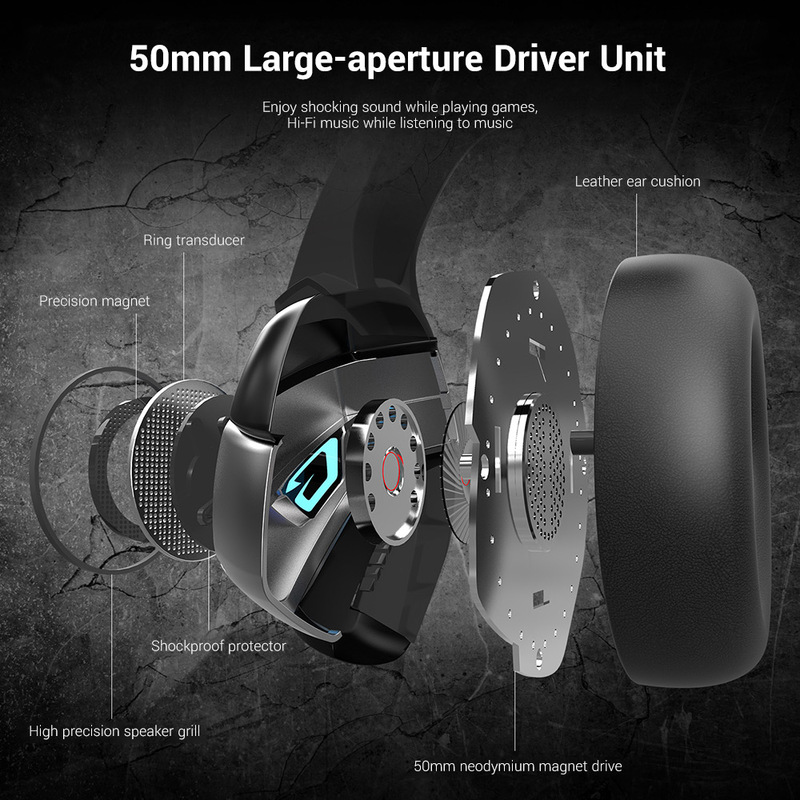 Clear sound operating strong brass, splendid ambient noise isolation and high precision 50mm magnetic neodymium driver, acoustic positioning precision enhance the sensitivity of the speaker unit, bring you vivid sound field, sound clarity, shock feeling sound. 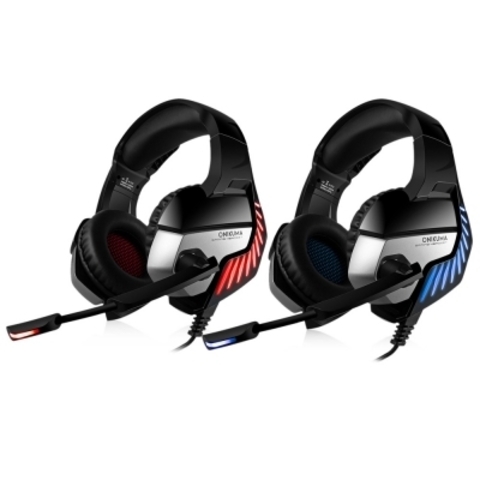 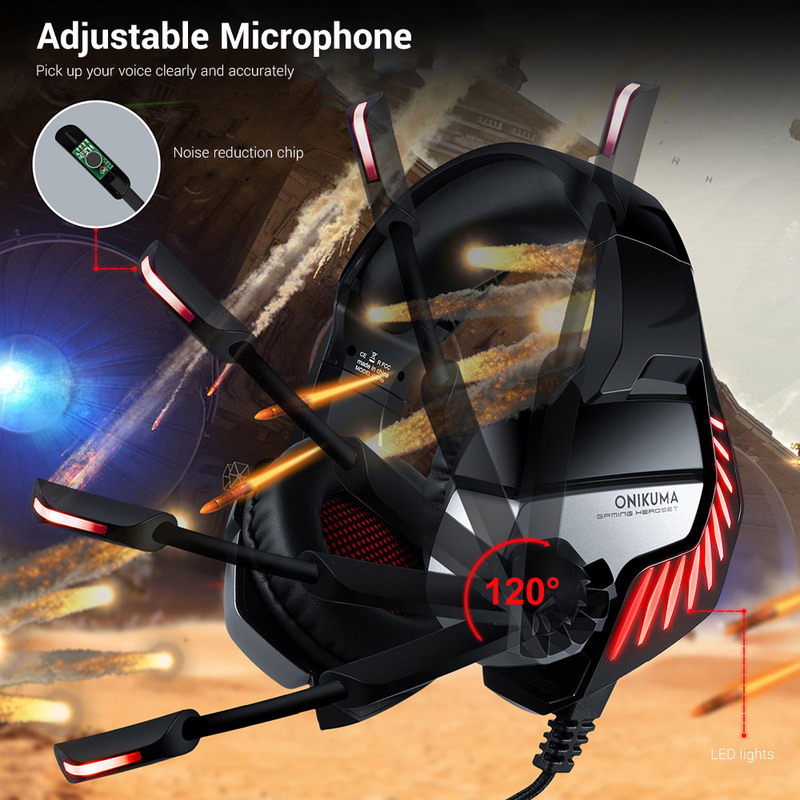 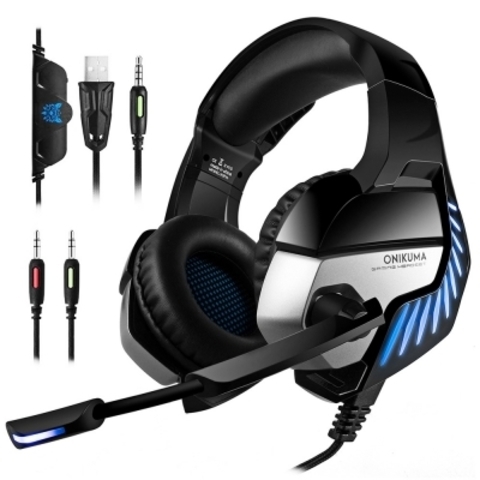 Headset integrated omnidirectional microphone can transmit high-quality communication with its premium noise canceling feature, can pick up sounds with great sensitivity and remove the noise, which enables you the clearly deliver or receive messages while you are in a game. 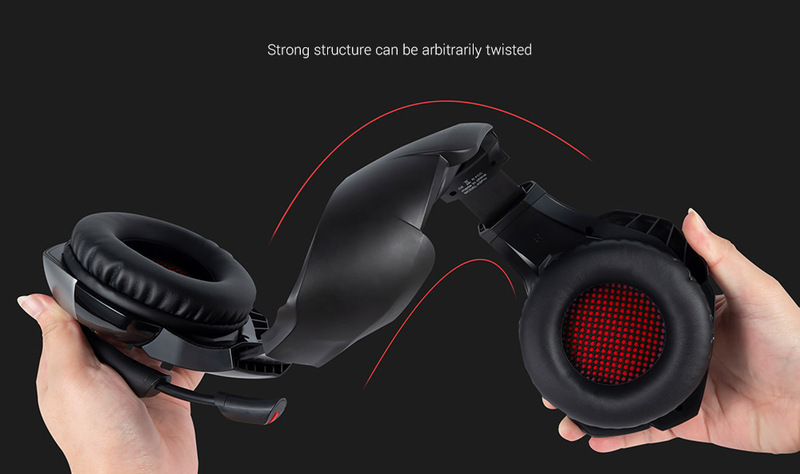 Long flexible MIC design is very convenient to adjust the angle of the microphone. 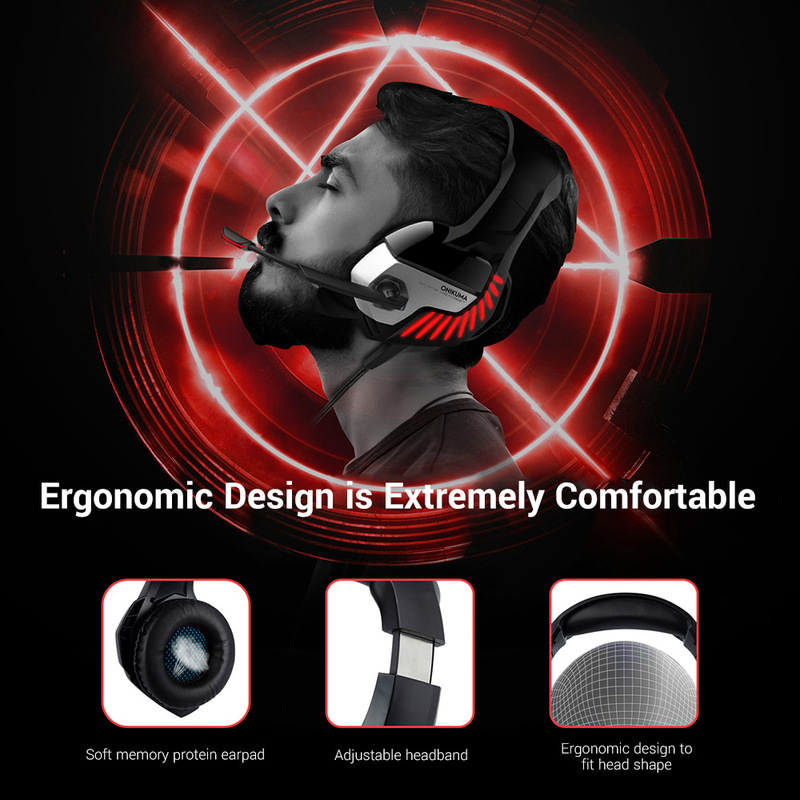 The retractable headband design with synthetic leather-wrapped ear-cushions allows you to play for hours in complete comfort. 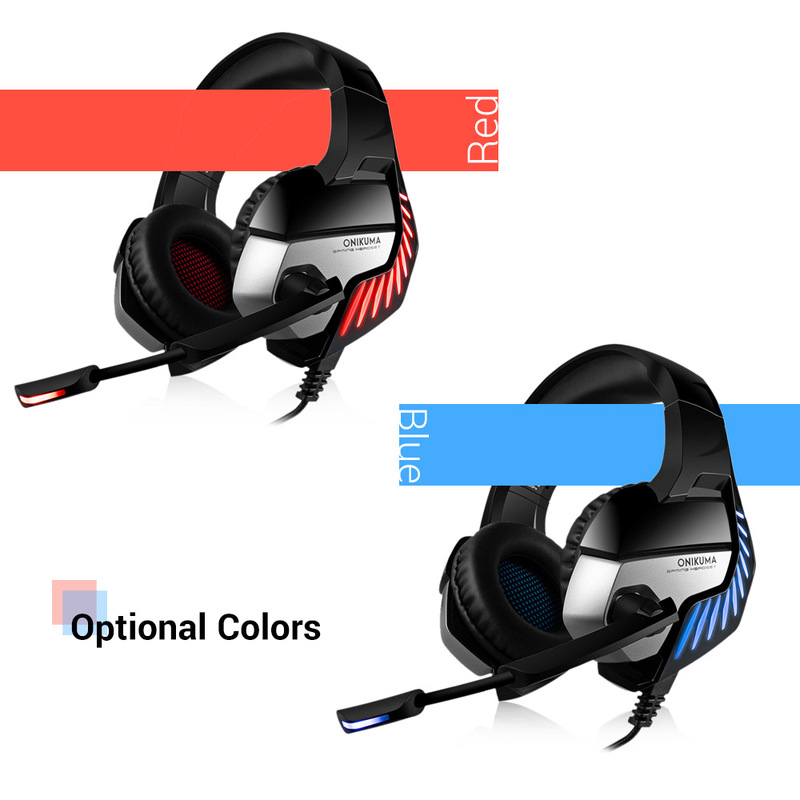 Adjustable headband suits all gamers at any age. 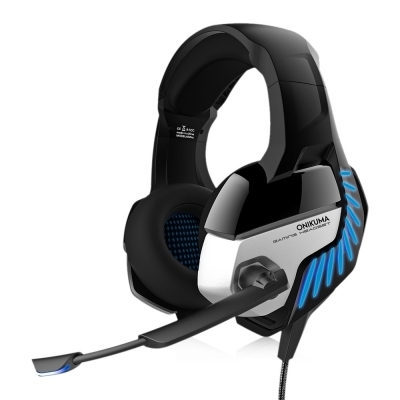 Glaring LED lights design on the earcups to highlight game atmosphere. 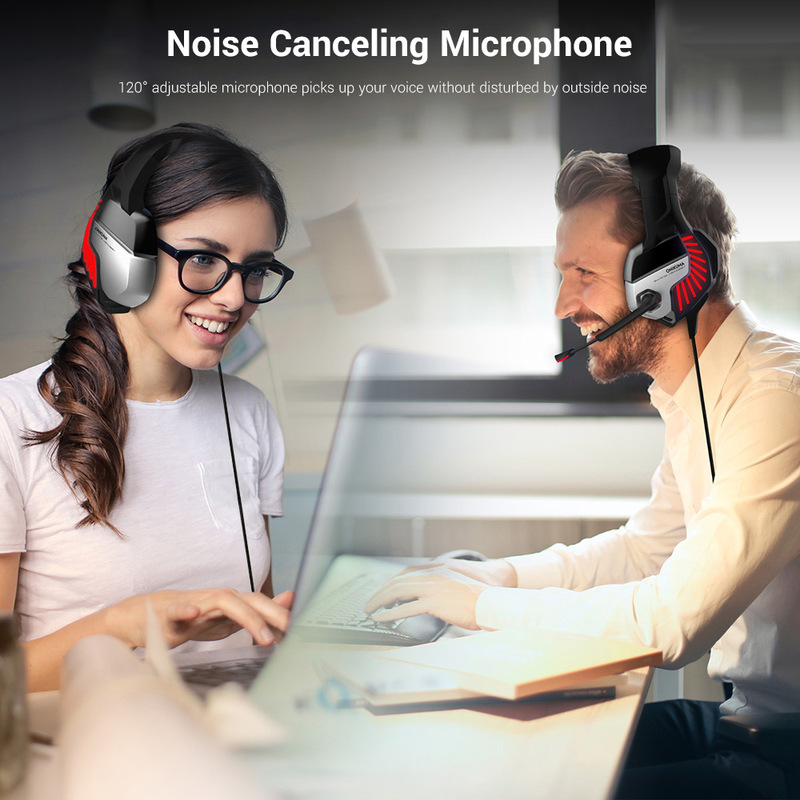 High tensile strength, anti-winding braided USB cable with rotary volume controller and microphone mute key effectively prevents the 86 inches long cable from twining and allows you to control the volume easily and mutes the MIC as effortless volume control one mute key.